Wide-angle lenses will always be useful when photographing piers as you'll be able to capture shots of the beach, sea and pier as well as interesting sunsets or sunrises, depending on what time of the day you're visiting the coast. Close-up lenses or better still, macro lenses will allow you to get detailed shots of textures in the wooden boards, patterns in rust and more. Don't forget your tripod and pack a polarising filter to reduce glare and increase saturation so blue skies appear to be even brighter. This doesn't mean you can't shoot on a dull day, however as rain clouds building in the background of your beach landscape will add mood and create a different feeling in your pier shots. Shooting from the beach will give you a cracking shot of the pier in its surroundings that works particularly well at sunrise/sunset. For added atmosphere try slowing your shutter speeds down to blur the movement of the sea as it crawls up the beach. 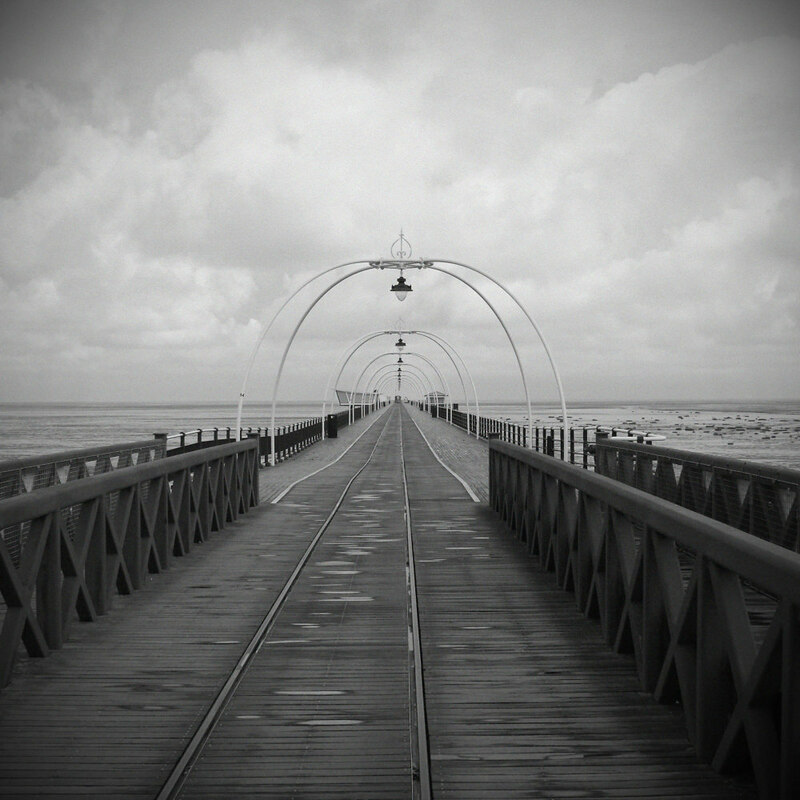 Take a walk along the boards early morning before the tourists arrive and the empty pier can be used to guide the eye out to sea. If you want to emphasise the bustle of the seaside resort try using a slower shutter speed to blur the movement of the people walking up and down the pier. If it's safe to do so go and have a walk under the pier as you'll often find a symmetrical structure that creates a strong graphical shot when photographed from the beach. The supports closer to the sea will often have interesting tide line patterns, seaweed and creatures worth a quick snap with your macro lens too. Just keep an eye on the tide if you venture under as you don't want you and your kit getting wet or worse still, swept out to sea. When you've photographed the popular pier angles, the patterns in the wooden boards, rust on bolts and peeling paintwork on railings make great texture shots you can blend into other images in Photoshop. Finally, if you're still at the coast when the sun's setting have a go at turning the pier into a silhouette. Just remember to expose for the brighter sky rather than the pier to create the desired effect. When you're back at home remember to wipe down all of your gear to remove sand, sea salt etc. and leave it to dry out completely.